Most people think about the damage that can occur from gum disease as only applicable to their gums or teeth. However, that is not the case. 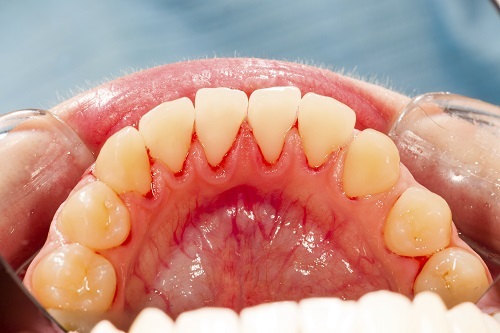 Gum disease can affect more of your body than you may realize. One of the more known problems that can accompany untreated gum disease is trouble with the heart. However, that is not the only place it can cause damage. The brain and the lungs can also be affected by untreated gum disease. When you do not treat your gum disease, it can lead to a wide array of infections all over your body. For example, if you were to fall and break a bone, the infection could spread from your mouth, through your bloodstream, all the way to that area where the bone broke. It could make healing slower, and it could even make it to where you did not heal properly, if the infection was bad enough. The lungs are one area that most people do not want to have an infection. It makes it harder for someone to breathe, and it can also be incredibly painful. However, it can be easy to spread infection there since when you breathe, you exchange particles from your mouth with each breath. Do not forget that you need to make sure that you take good care of your teeth, especially if you suspect that you have gum disease. Come in to see us and let us get started treating your gum disease. That way, you do not need to worry about the infection spreading to any other part of your body or harming your overall health. It is bad enough that your mouth is struggling to fight off the infection. Your brain, heart, and lungs do not want to do it, too. If you have any questions or would like to schedule an appointment, please call us at (480) 376-2848 today.